The burger chain isn't the first brand to make fun of vegans. In 2016, Meat and Livestock Australia torched a vegans bowl of kale in an ad which led to more than 400 complaints made to the ad watchdog claiming violence against vegans. It seems that Hungry Jack's didn't learn from the Meat and Livestock Australia ad that you don't want to get on the bad side of vegans. In its latest ad, the brand jabs the vegetable-loving minority to promote its newly launched vegan burger. The spot features YouTube star Natalie Tran, who spends the full 70-second ad telling people she's a vegan. Tran, who has nearly two million YouTube followers, became vegan in 2016 and shared the video with her huge Twitter following. The ad taps into the old joke: "How do you know if someone is vegan? Don’t worry – they’ll tell you". 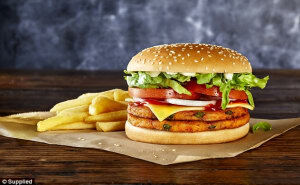 It celebrates a new direction for Hungry Jack's with the brand now looking to tap into the 10% of Australians who are no longer eating meat, with the launch of its vegan burger. 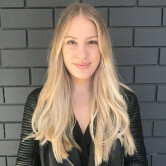 The campaign is also different to the ads Hungry Jack's has done in the past, tapping influencers for content rather than a brand platform from its creative agency Clemenger Sydney. Hungry Jack's CMO Scott Baird said the company made the move in recognition of Australia's trend towards veganism. "We are committed to making sure there is something for everyone at Hungry Jack's, so we are very excited to offer a great value option to the growing number of vegans around the country," he said. Hungry Jack's introduced the 'Keeping It Real' brand platform last year which saw the brand cheekily parody food fads.